Senior UNRWA official backs Palestinian Arab "march of the return" to be held on Friday. Matthias Schmale, the director of UNRWA operations in Gaza, on Tuesday expressed his support for the large-scale anti-Israel march to be held by Palestinian Arabs this coming Friday. The Palestinian Arab news agency Safa reported that in a letter to the Supreme National Committee which is organizing the march, Schmale wrote that "UNRWA supports the Palestinian right to hold peaceful gatherings and protest in non-violent ways." He added that it is possible that the planned march, dubbed “the march of the return”, will become a powerful initiative if it receives genuine and broad support from all the active elements in Gaza and is carried out peacefully. Schmale added that at this time, UNRWA cannot provide the march with the necessary material aid and provide it with UN flags, as these flags are used to protect civilians in times of humanitarian crises and require the UN Secretary General's agreement to use them in other circumstances. At the same time, however, Schmale expressed willingness to place the UNRWA medical centers at the service of “Palestinian refugees” who might sustain injuries during the march. 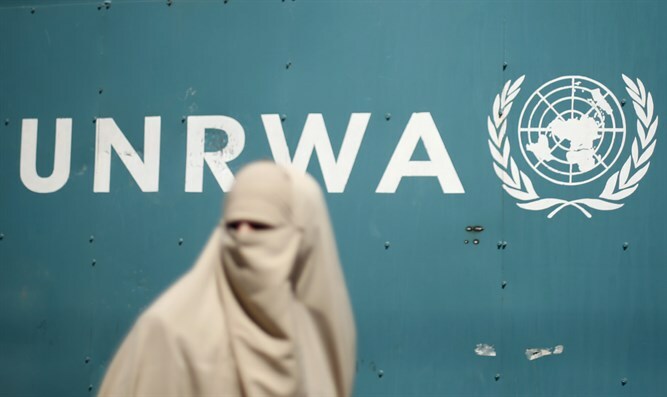 UNRWA, which is the UN agency for “Palestinian refugees”, is notorious for its anti-Israel activities. During the 2014 counterterrorism Operation Protective Edge, Hamas rockets were discovered inside a school building run by UNRWA. The U.S. recently announced it would cut some of its funding to UNRWA, citing a need to undertake a fundamental re-examination of the organization, both in the way it operates and the way it is funded. Several weeks ago, UNRWA received pledges of $100 million in additional funding from Qatar, Canada, Switzerland, Turkey, New Zealand, Norway, Korea, Mexico, Slovakia, India and France as a means of making up for the aid that was cut by Washington.